Monday - Friday 8:30 a.m. - 12:00 p.m. & 1:00 p.m. - 5:00 p.m.
Closed Saturday, Sunday, and Scheduled Holidays. Welcome to the Homestead Literature Capital of Kansas - the home of Sod & Stubble and the setting for Sod-House Days. 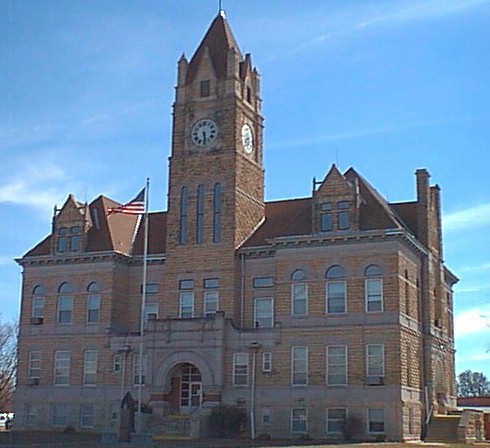 Indians, Mexican bandits, Zebulon Pike, Porky Pig, Russell Stover, Charles "Buffalo" Jones and Walt Disney have also called Osborne County home. Osborne County is smack-dab in the center of everything! Whether it's shopping, hunting, fishing, biking, taking a tour or just loafing - there's something for every member of the family. Experience our friendly and affordable restaurants, motels, bed & breakfasts, and hunting lodges after you've explored a ghost town or taking in a community celebration. Make plans to attend one of our annual events - the Kansas Storytelling Festival in Downs, Alton's Jubilee, Natoma's Labor Day Celebration, Osborne's Rod Run, or the Osborne County Fair.